Stay informed. Be notified of resource updates. 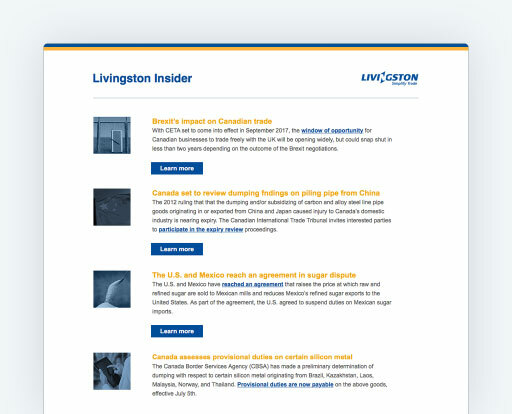 Livingston Trade News is curated by our regulatory experts, and updated regularly. Read up on all the hottest trade topics. In one place.